A Nigerian soldier simply identified as Sunday has reportedly killed a Hausa cattle dealer, Shafi’u Garba, over his refusal to pay N500 bribe at a military check-point in Edo state. In a report by DailyNigerian, it was revealed that the tragic incident happened when Mr Garba, popularly known as Ganda, was conveying cattle in truck from Wudil in Kano to Edo state. Witness said the incident occurred at a military check-point at Uromi, located between Auchi and Benin, around 6pm on December 8. 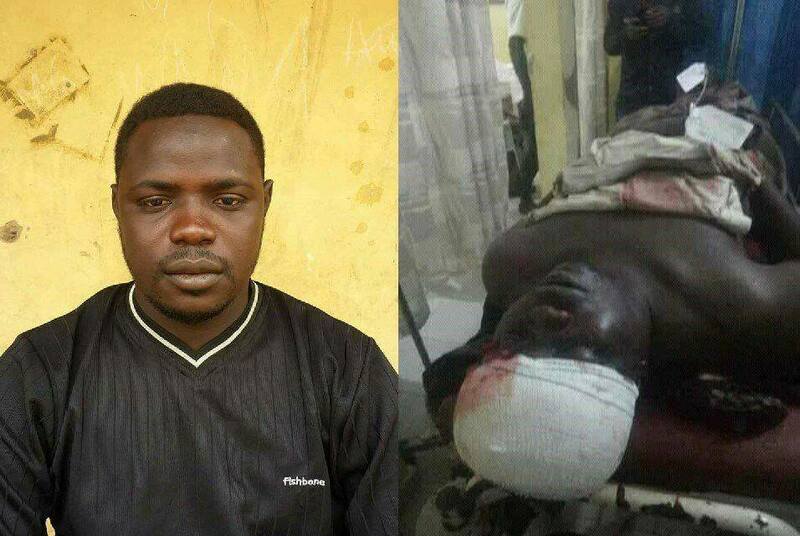 The eyewitness, Sani Abdullahi, who was in the same truck with the victim, said the Mr Garba was shot in the head by the soldier and died a few hours after. “After going past the military check-point, and having seen that the military man was following us on a motorcycle, late Shafi’u advised that we stop. “When we stopped, the soldier pointed his gun at us and fired three shots. The first bullet hit the roof of the truck, while the second shot hit him in the head. “Nobody stopped us at the check-point. We only saw the soldier rode past us on a motorcycle and started shooting and demanding why we did not drop the N500 required to pass the check-point. “Shafi’u was rushed to a nearby hospital but died a few hours later. We reported the matter to the DPO of Uromi police station, but the police attempted to manipulate the issue. “We then blocked the road the following morning, demanding justice. We also requested that his body be taken back to the North for proper burial. “Even though the army settled the hospital bill and arrested the soldier, but that is not enough. “We want the full wrath of the law to take its course on this wicked soldier,” the eyewitness narrated. Nigerian Army spokesperson, Sani Kukasheka is yet to comment on the matter.